Motovun: It is situated on a hill 270 m (886 ft) above sea level with houses scattered all over the hill, typical example of Venetian colonial architecture. In the 10th and 11th centuries it belonged to the Bishop of Poreč. In 13th century it was taken over by Venice and surrounded by solid walls which was perfect defensive system.Walls are still intact today, and used as a walkway with unique view at Učka mountain and mirna river valley.Motovun Forest which stretches along the Mirna River valley is especially rich in truffles. Grožnjan: City filled with history and art, known as the city of artist.In 1950's Grožnjan was almost a ghost town when a group of painters, musicians and artists decided to renovate the houses and started to live in the town.Today most of inhabitants are artists and there are almost 200 of them.In the narrow, cobbled alleys you’ll find numerous galleries and art studios with handmade jewelry and items. Musicians from all over the world meet in Grožnjan and create a unique atmosphere.It's located on the hill above Mirna valley with the seaview on one side and istrian inland and valley on the other side.Grožnjan used to be important Venetian military base but today it shows it's opposite peaceful side. Oprtalj: Oprtalj is situated in the north west part of Istria at the altitude of 378m above sea level.It was mentioned in 12th century as a residence of feudal lords and artisans.Oprtalj and it's surrounding is very attractive for nature lovers, hikers, hunters and truffle collectors.In Oprtalj you can find many renaissance and middle age cultural heritage.Inside it's city walls today are living around 100 inhabitants. Završje: The historic core of Završje is protected urban entity registered as Croatian cultural heritage. Among the preserved buildings are three churches, a castle, and South Gate.Recognisable bell tower of the church is 22 meters high and 40 centimeters is leaned towards the north, so that Završje has its own version of the Leaning Tower. It was built during the Venetian rule as a tower and observation, and started to lean in 18th century, when it was studded with five metal rings.Today, the area where Parenzana known as one of the most picturesque cycling routes in Istria is passing Završje is one of the true 'undiscovered' gems which has preserved its old charm. 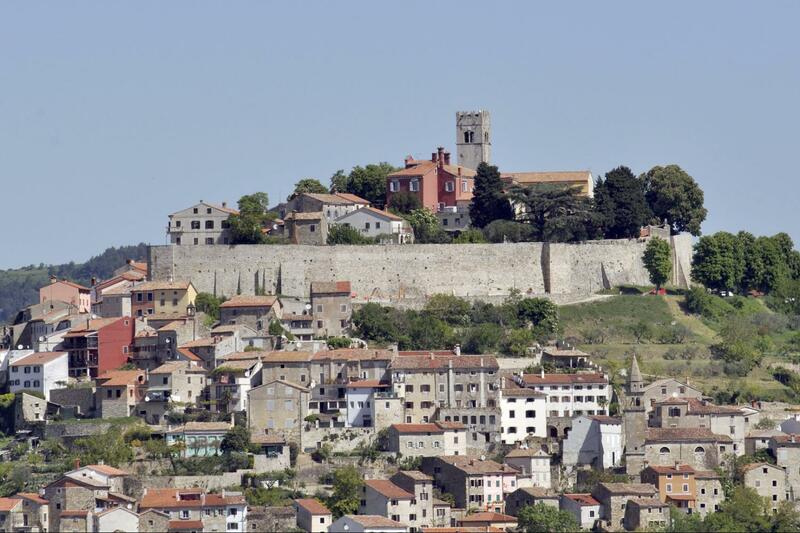 After pick up at the hotel we drive to Grožnjan, a Istrian medieval hilltop town overfilled with galleries and artists. 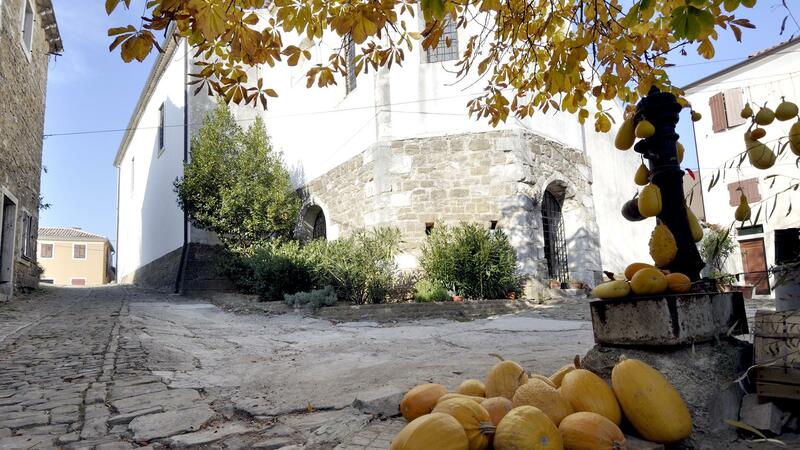 If you just occasionally pass along its streets in which almost every door leads to art studios or galleries, and which windows from every direction echoes the sounds of different music genres, from classical to jazz, you’ll understand why Grožnjan is known as "The town of artists". 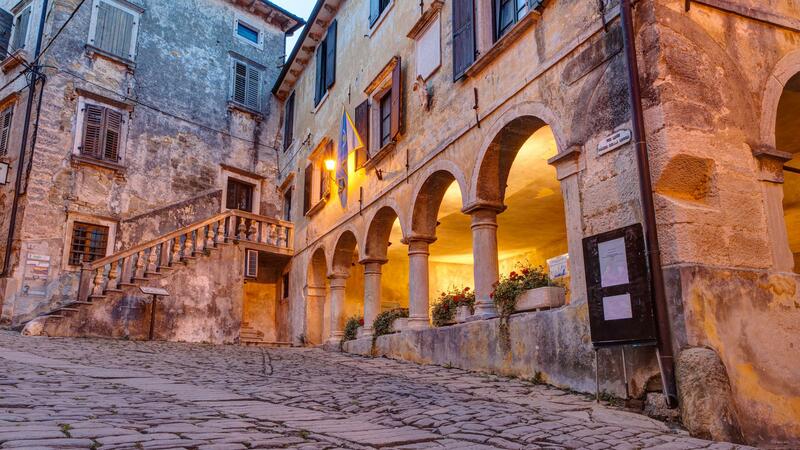 Our next stop is Oprtalj, Unchanged urban medieval style of building , the narrow streets, the shops, the beautiful Venetian palaces, portals and covered passages, and particularly the unique view to the Istrian peninsula from the town loggia, according to many the most beautiful of Istria. 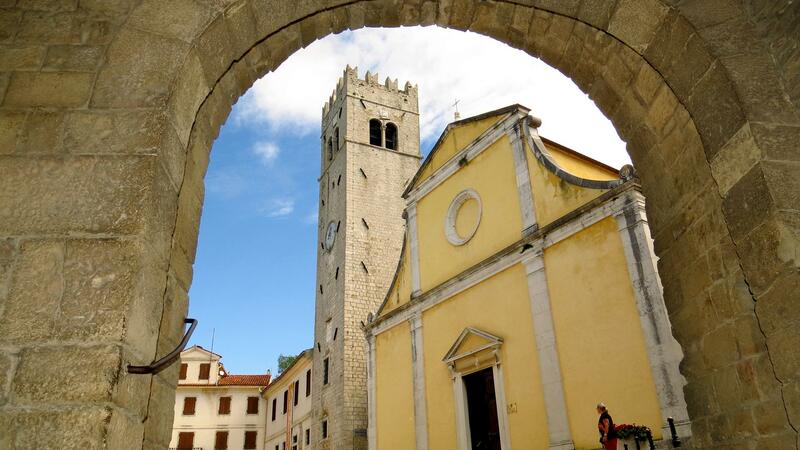 Later we are going to explore Motovun, a town monument, an ancient little Istrian town located atop a 277-meter-high hill. 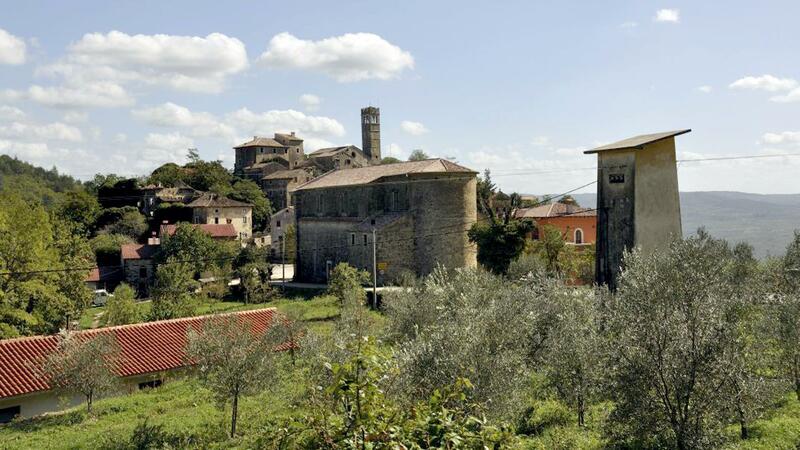 Its present appearance, with the city walls surrounding the center of the town, dates back to the Middle Ages. Drive back to your hotel.